As the name suggests, it is a rural setting, mostly set to open land over which horses graze in some numbers. Across it are also scattered a number of buildings and homes, including the private residences. Two of the latter lie on a smaller island in the south-east corner of the region, the water channel separating them from the rest of the setting helping to ensure their privacy remains intact. A further residence lies on the south-western headland and is marked by a fence and archway running across the front of the property, marking the limits of public exploration. Two more houses can be found on the region. The first is located alongside the landing point and might actually be a private home itself; I’m not entirely sure – so perhaps it is best to treat it with respect. A dirt track runs from its porch to pass an outdoor music area to one side and the last house – which does appear to be open to the public – on the other. Sweeping past the latter, the track turns to run above a deep inlet that cuts its way into the land, before it divides to point one finger towards the private house on the south-western headland and offering a path to a gravelly beach along the way, while the second finger crooks west then north, pointing the way to a shaded pavilion and thence to a waterfront deck overlooking a small bay. This bay is bracketed by a small rocky island with a granite face looking inland that someone has been busily painting with graffiti. The island can be reached by means of a path and rope bridge reached by walking along the waterfront, and offers a high vantage point for looking back across the region. Beyond the deck, a sandy path cuts across the grass to a rock arch offering access to where another small bay cuts into the land via a narrow neck of water.. aided by a small covered bridge, the path continues on the far side of the inlet, returning visitors by way of wooden steps to the house by the landing point. Throughout all of this, there is plenty so see and multiple places to sit for a while and enjoy the setting. Dogs play in the long grass, the aforementioned horses stands and graze in groups, sheep enjoy the heather on the south-west headland, and swings, benches and seats look out over the various points of interest – the bays, the winding tracks, the musical area, which is available for dances should visitors in in the mood; the music stream is particularly mellow and suited to a romantic dance or a little swing to the sound of a big band. Throughout all of this, birds twitter and sing under a later spring sky. When wandering it is worth keeping an eye out for the smaller details – such as the rag doll audience awaiting a musician to appear on the truck bed stage, or the paper aeroplanes turning circles in the breeze over the meadow flowers, sharing the air above the blooms with butterflies. For those wishing to take photographs, rezzing is open – but do please remember to pick your things up behind you. If you have a wearable horse, Provincial Life is idea for taking a ride, and your horse will have plenty of neighbourly company (coughs; “sorry!”). A charming, warm region which – as the About Land description states – is ready for photography as well as exploration. Our thanks, as always, to Shakespeare and Max for the referral! Kokua updated to version 6.0.1.44647 (RLV) and version 6.0.1.44648 (non-RLV), February 1st – release notes. Restrained Love Viewer updated to version 2.9.25.2 on January 28th and to 2.9.25.3 on January 29 – release notes. Cool VL updated to version 1.26.22.33 on February 2nd – release notes. It has been some time since my last Mars Science Laboratory (MSL) rover report, so it’s time to play catch up with Curiosity, and take a look at what is happening with Opportunity. For the last 16 months, Curiosity been engaged is studying “Vera Rubin Ridge”. Originally seen as a measn for the rover to traverse from one area of interest on “Mount Sharp” to another, the ridge became a point of interest itself when the rover imaged a rock formation that could fill a gap in the science team’s knowledge about the mound’s formation. 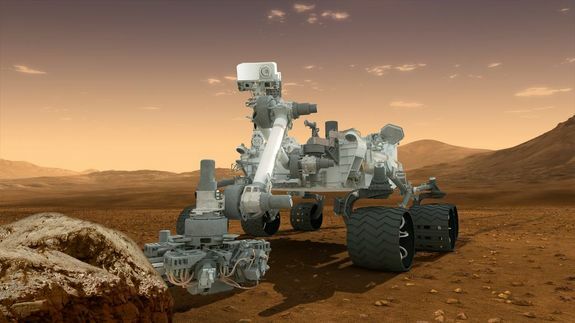 At the time the rock formation was noticed, engineers had been in the process of trying to overcome a issue with the rover’s drill that had prevented its use for several months. A potential work-around had been tested on Earth, so investigation of the rock formation offered the opportunity to test the updated drilling approach. Curiosity was therefore ordered to reverse course in the hope the tests would be successful and a sample of the rock could be gathered. While successful, this was actually complicated – the issue with the drill feed mechanism also meant that the usual means of sorting samples post extraction had to be abandoned in favour of a new approach. However, the initial success meant Curiosity could resume drill-based sample gathering and analysis, marking the start of period of exploration around the ridge area – albeit it one interrupted by the 2018 global dust storm. 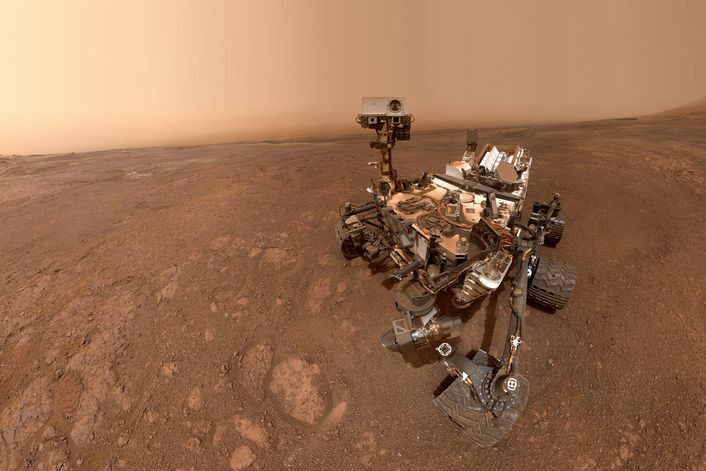 In December 2018, this work concluded with the rover collecting its 19th overall sample on Mars, at a location on the ridge called “Rock Hall”. Since then, the rover has been completing its work on the ridge, which included taking a “selfie” on January 15th, comprising 57 individual images taken with the Mars Hand Lens Imager (MAHLI) camera on the end of its robotic arm. At the ed of January, Curiosity said farewell to “Vera Rubin Ridge”, resuming its traverse southward towards the “clay bearing unit” it was originally heading to when it stopped at the ridge in September 2017. The January 2019 “selfie” taken by Curiosity Sol 2291 at the “Rock Hall” drill site, located on “Vera Rubin Ridge”. Note parts of the robot arm have been removed from the completed image due to the fact it would appear in multiple locations in the completed image. Credit: NASA/JPL / MSSS. At the same time, the science team for the rover released a paper revealing a new mystery about “Mount Sharp” and showing how instruments aboard the rover were re-purposed to allow it to be made. As I’ve previously reported, previous studies of “Mount Sharp”- more correctly called Aeolis Mons, the 5 km (3 mi) high mound at the centre of the crater – suggested it was formed over two billions years, the result of repeated flooding of the crater laying down bands of sedimentary deposits, some of which were blown away by wind action, others of which settled. Over the millennia, these layers were sculpted by wind action within the crater, until only the central mound was left. However, this type of water-induced layering should have resulted in the lower slopes of Mount Sharp being heavily compressed; but measurements of the local gravity environment of the terrain Curiosity has been driving over in its ascent up “Mount Sharp”, indicate the layers of the lower slopes are less dense than thought, meaning it is relatively porous. This indicates they were not buried under successive layers as had been thought, and thus some other process must have given rise to the mound. The measurements were obtained by re-purposing the accelerometers Curiosity uses as a part of its driving / navigation system. Normally, these are used to determine its location and the direction it is facing with enormous precision. But, through a subtle piece of reprogramming, engineers were able to turn them into a gravimeter, allowing Curiosity to measure local gravity every time it stopped driving, and with massively greater precision than can be achieved from orbit. 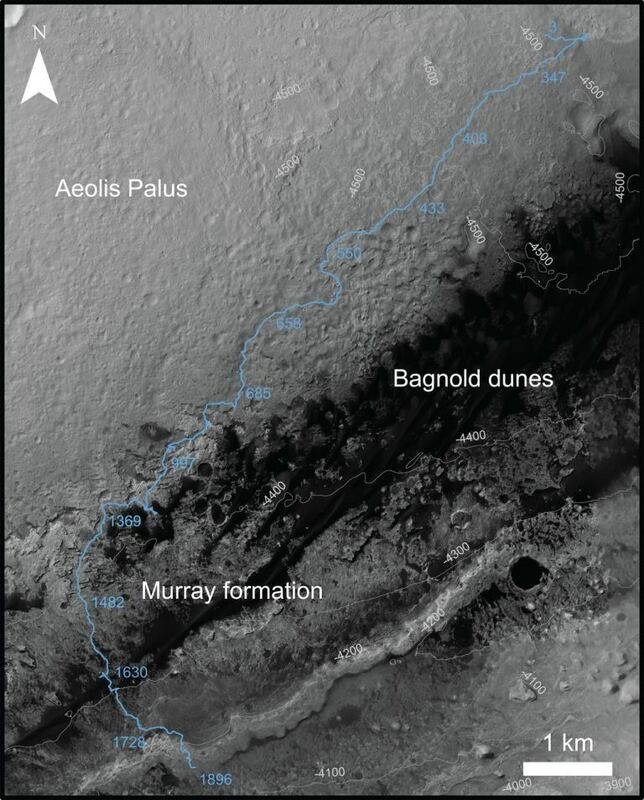 Given the results tend to dispel the idea that water action was primarily responsible for filling the crater with sediments subsequently added to and shaped by wind action, it’s been proposed that “Mount Sharp” has been formed almost entirely as a result of Aeolian (wind-driven) sedimentation. This would leave the layers forming the mound a lot less dense in comparison to layers laid down and built up as a result of water action and settling. However, this doesn’t entirely explain why the mount was formed, and further study is required before it can be said with certainty that wind played the core part in building and sculpting “Mount Sharp”. In the meantime, the re-purposing of Curiosity’s accelerometers is another example of the flexibility found within NASA’s robot explorers, as Ashwin Vasavada, Curiosity’s project scientist, noted in response to the new information. There are still many questions about how Mount Sharp developed, but this paper adds an important piece to the puzzle. I’m thrilled that creative scientists and engineers are still finding innovative ways to make new scientific discoveries with the rover. – Ashwin Vasavada, Curiosity’s project scientist. It is now seven months since communications with NASA’s other operational Mars rover, Opportunity, was lost as a result of the planet girdling dust storm that ran from late May until around the end of July 2018, and which forced the rover to go into a power saving safe mode as there were insufficient sunlight for its solar cells to recharge its batteries. In late August, ith the skies over Opportunity clearing of dust, NASA initiated an attempt to nudge “Oppy” into trying to resume contact with mission control using what is called the “sweep and beep” method. 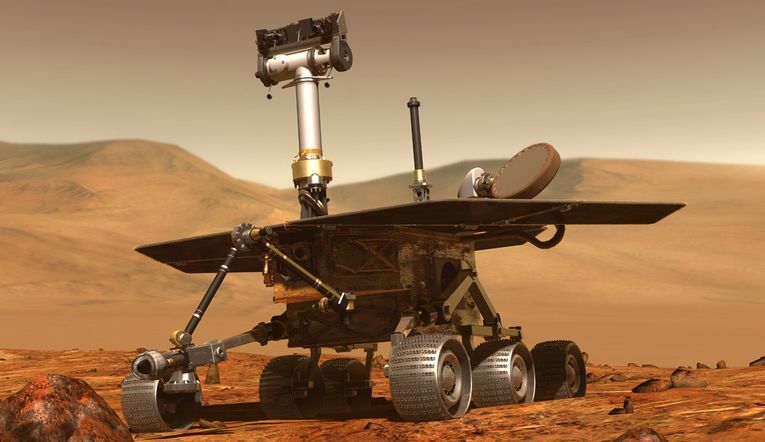 This involved sending a series of wake up commands throughout the day, then listening for the “beep” signal that would indicated “Oppy” had received the signal and was once again awaiting commands, allowing attempts at recovery to commence. Unfortunately, this has not been the case. Originally, it had been intended that if no response was received in 45-day period, NASA would switch to a purely passive means of listening out for “Oppy” in the hope the rover might send a message. But on January 25th, 2019, the space agency indicated they would be taking a different tack. The new approach means that the “sweep and beep” approach will be continued, but slightly differently. In order to account for the possibility that Opportunity has both and off-kilter clock and both of its primary X-band communications systems, the outward commands designed to nudge a simple “beep” response from the rover will be replace by a command for it to switch away from using its primary communications system(s) to it secondary, the hope being that it would allow the rover to respond, and enable a more detail assessment of Opportunity’s condition to be made. This effort is expected to continue for “several weeks” before NASA will again reassess the likelihood of re-establishing contact with the rover. However, a new threat is in the offing for Opportunity as winter starts to settle in the hemisphere where it is operating; if its solar panels are not working efficiently, the exceptionally low winter temperatures could damage it beyond recovery.